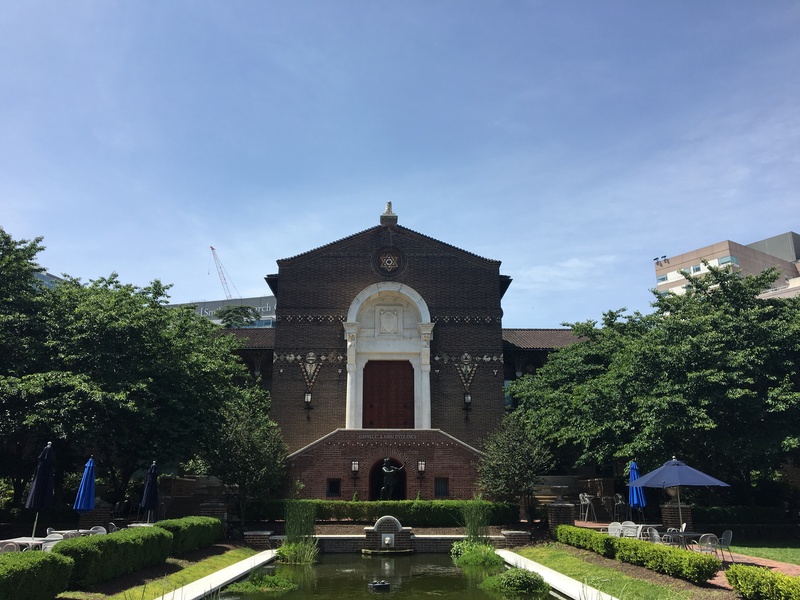 One of Philadelphia’s hidden gems, the University of Pennsylvania Museum of Archaeology and Anthropology (also known as Penn Museum) is a part of the campus of the University of Pennsylvania, and home to its anthropology department. It is one of the largest college museums in America. Over the years, it has lead many archaeological expeditions around the world, and continues to do so today. The collection spans thousands of years of human history, and from every corner of the Earth. The Egyptian section is popular, with the Great Sphinx of Ramses II as the centerpiece of the collection. An additional Egyptian section on the third floor has an exhibit on mummies, including their coffins and burial masks, and information on the mummification process. Other objects from Egypt include sculptures, pottery, jewelry, and textiles. The Penn Museum’s European collection dates from ancient Greece and continues to Etruscan Italy and Rome. Much like the Egyptian part, there are many sculptures, including a head of Diana and a massive Etruscan sarcophagus. Everyday objects such as coins, pottery and jewelry, are also here. This includes Greek vases, with their recognizable orange paint. The first floor houses the museum’s Native American and African collections. The Native American section ranges from Inuit tribes in the north to the Mayans in Central America to the Lenape, the original inhabitants of the Delaware Valley. Among the highlights collection are Navajo rugs, an Iroquois lacrosse stick, a totem pole, and a Mayan stela, depicting a king. The Imagine Africa exhibit has a wide range of masks, showing various designs from around the continent. There are also cloths and woven baskets, all of which are very and detailed. The Asian collection includes the Chinese rotunda, located in the building’s spectacular dome. The Chinese art includes Buddha sculptures and horse figurines, and silk paintings. The Japanese section has similar Buddhas, as well as coats that were worn in Ancient Japan. In the Middle East, there are pieces of the Royal Tombs of Ur, and a collection of Sumerian cuneiform. The building itself is perhaps as memorable as the collection. It’s a Romanesque masterpiece, with intricate brickwork around the building, plenty of arches and rounded edges. Special attention should go the dome, which houses the Chinese collection. The dome has a 90-foot diameter, making it the country’s largest unsupported masonry dome. It’s one of the most, if not the most, impressive rooms in the city. Admission is $15 for adults, $13 for students, $10 for children and students, and free for students, staff and faculty of the University of Pennsylvania.